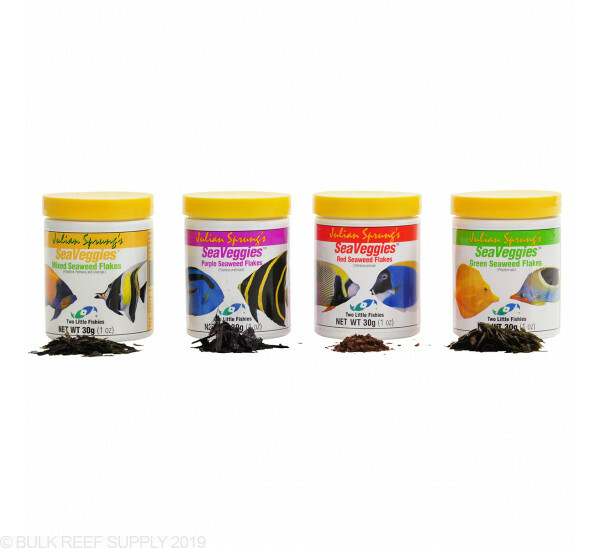 SeaVeggies flakes contain only seaweed, no fillers, making them a great natural choice to provide the nutrition your fish need to remain healthy, colorful, grow, and reproduce. 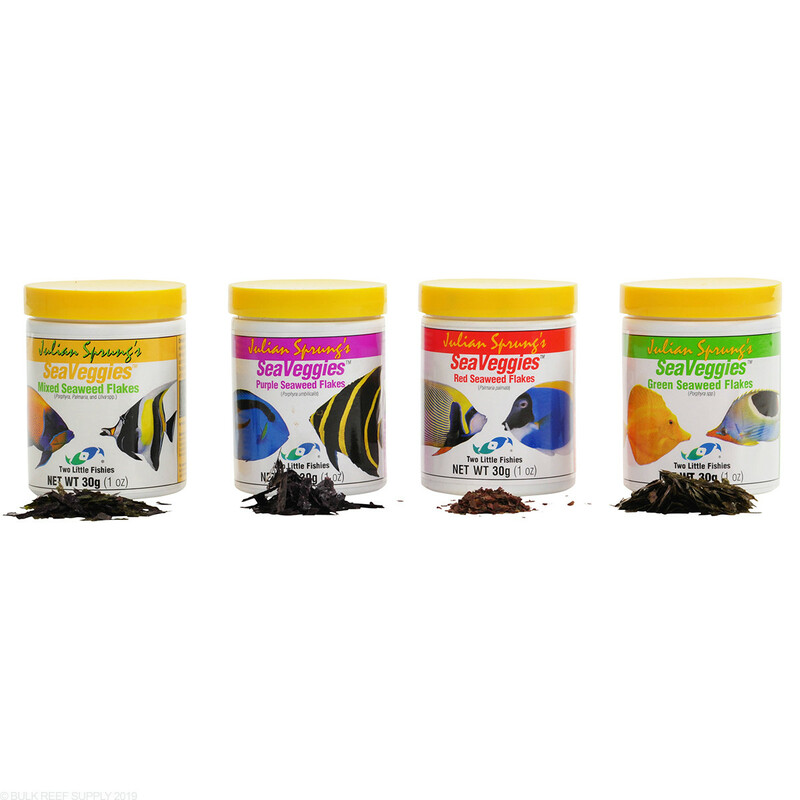 Sea Veggies flakes contain only seaweed, no fillers, making them a great natural choice to provide the nutrition your fish need to remain healthy, colorful, grow, and reproduce. seems like a quality product but most of it just floats and only my cardinals come up to eat it. Once i stir it up and it sinks, the other fish do eat it. I've been feeding Sea Veggies for over 1 year. All my herbivores (tangs & angels) love either the green or purple, haven't tried the mixed flakes. To the low reviewer, I highly suggest you try just the green or the purple, you may be surprised. Even my wrasse loves them once he got a taste. After about 5 days feeding I noticed enhanced, more vibrant coloring in several of the fish. My Foxface loves these! All the fish go after them. Will purchase again. I have a mixed reef with omnivores & herbivores. Out of 11 fish not one will eat the Mixed Flakes. They love nori and other flake brands but not this one. The "Sea Veggies" are different kinds of sea weed cut into small strips making them very easy to feed to your fish, and if you have a tang, or any other omnivore, they are going to go crazy for this food. I would reccomend this to a friend.